Grover Beach Mayor John Shoals, as chair of the South San Luis Obispo County Sanitation District, has directed the abandonment of the current bimonthly billing for sanitary services and place it on the property tax. Shoals major reason for this action was because Oceano had refused to paying its share. Here we see the repeat of an awkward situation where Oceano, being the tail on the dog wags the dog. It is a repeat of a bad arrangement where the idiocy of the Oceano Community Services District management seriously undermines the interests of the cities of Grover Beach and Arroyo Grande. Oceano demanded $22,000 a year to bill their 7500 customers, as compared to Arroyo Grande charging the district $12,000 for its 17,000 customers. As with the Five Cites Fire Authority (FCFA,) Oceano does not pay its fair share. Mayor Jim Hill of Arroyo Grande was on the losing end of a 2-1 board decision on the matter. It was Shoals, and Shoals alone, who suggested that all three members should be billed through the county. His plan in includes a commitment of $66,000 for annual billing, while presently Arroyo Grande billing is only $12,000. Shoals is responsible for this mess. But does Shoals have other applications of this taxing strategy in mind? Mischief is the delight of the revenue hungry politician. What goes on here? Have we seen this play before with attempts to raise property taxes? Yes. A FCFA District was formally implemented by three member FCFA Board members on December 20, 2013. Shoal is currently a member of that board. The implementation of the assessment district entailed — big surprise — a tax increase to be approved on a ballot to property owners. This move was soundly defeated by the property owners in a subsequent election. What is the lesson? Do not burden the property taxes of property owners. That issue now confronts the Sanitation District Board. There will be a predictable negative reaction to defeat this unwise move to remove the bi-monthly sanitation billings to an annual billing on the property tax. Besides this reaction there are other good reasons to stop this from happening. The property tax bill — and it administration — is corrupted by a service expense. It becomes invisible to the board and an irritant to property owners. The board appears to be abdicating its fiduciary trust to the county administration. This is Pandora’s box that addresses the whole accountability issue, the disciplines of accountability that prevail. The precedent is a concern. This reaches to managerial accountability and disclosure to the citizens. It is a bag of snakes and inspires fears of this gimmick being exploited — such as its potential application with the FCFA. Besides this is a bad practice. This is an evident political issue in an election year. If this precedent holds, why shouldn’t the city embrace a police version — with a board — that tosses of its financial responsibility — to a statement burdening the property tax statement? If the Sanitation Board requires more money to cover administration and operating expenses — they should raise the rate on the bi-monthly bill. And take the citizen heat for doing it. Otherwise get rid of those local boards. If they can’t do their own accounting, they are not needed. Let the county supervisors manage the matter. If we add sewer bills to property tax bills, the FCFA budget will be the next item to be placed on the property tax bill. Shoals will see to it. Oceano is the weak link in the chain. They rely on their neighbors to cover expenses, all the while paying Mr. Ogren upwards of $250,000/year. 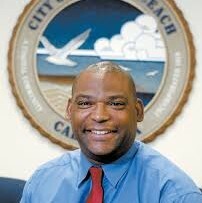 Grover Beach Mayor John Shoals is an enabler/politician. “Grover Beach Mayor John Shoals is an enabler/politician” is any one really surprised? For years Mayor Shoals enabled John Wallace and his theft of ratepayers money at the sewer plant, and then Shoals gets elected mayor so he must think his $hit don’t stink, he will likely run again and feels the residents of Grover Beach will turn a blind eye to his illegal activities and keep him in office, so why should he change?